In September 2014, a conflict erupted between South Sudanese and Ugandans in the borderlands of Kajokeji County, South Sudan and Moyo District, Uganda. Several people were killed, many more injured and thousands displaced. 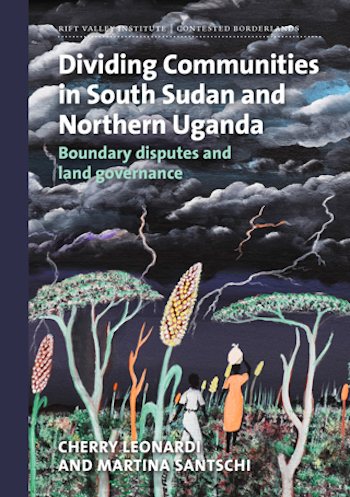 In Dividing Communities in South Sudan and Northern Uganda, the authors argue that the boundary dispute is not simply the result of a failure of governments to demarcate this stretch of the international border, but needs to be understood in the context of changing land values, patterns of decentralisation and local hybrid systems of land governance. Based on historical and empirical research, it examines how these factors are fuelling land-grabbing, distorting longer-term patterns of land tenure and promoting exclusionary land rights. By shifting attention away from the national legislation and policy, this report explores the underlying factors that may be driving the proliferation of land and boundary conflicts in the region.